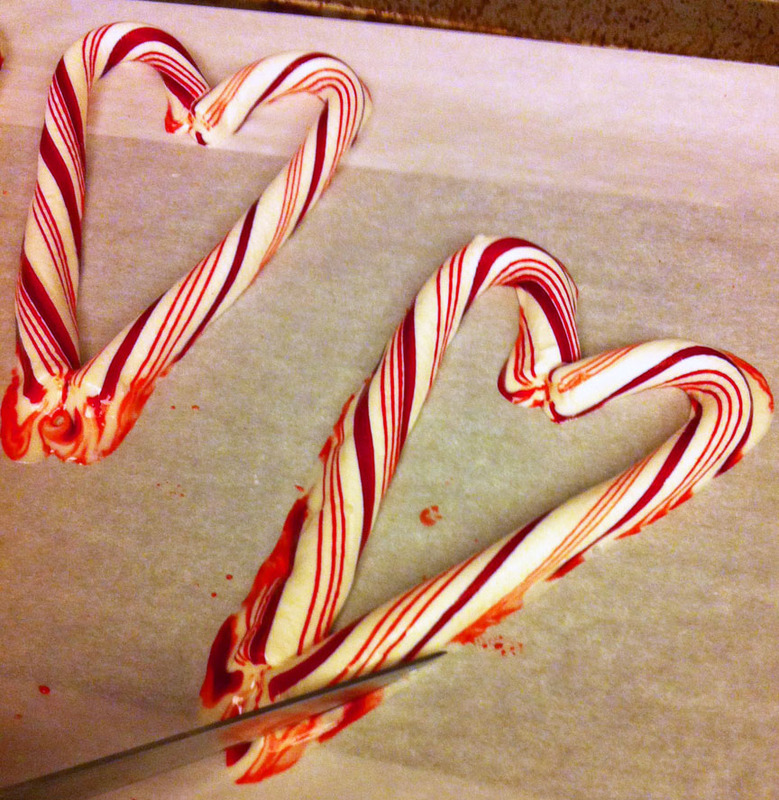 My mom and I experimented with MELTING candy canes this week and had all kinds of yummy results. Here is the idea I made! Did you know you can melt the candy canes into hearts by putting them in the oven for a few minutes? Line the cookie sheet with parchment paper. 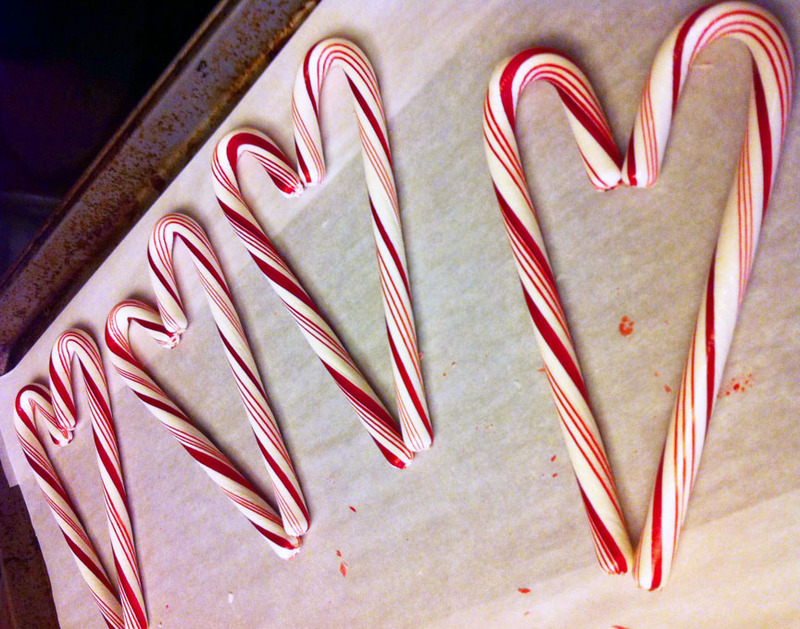 Remove plastic wrapper from each candy cane and set them as hearts on the cookie sheet. Let them heat up for three minutes. always use caution when using the oven, I suggest kids have an adult around to help them. Remove the tray from the oven. Press the ends together so they set and the joints are secure. Use a steak knife to trim away excess candy cane. You want to have clean edges so it looks nice! Let cool. Cut up the Tacky Sticker Sheets into strips and apply to the back of the candy cane - don't forget to add string to hang your ornament! 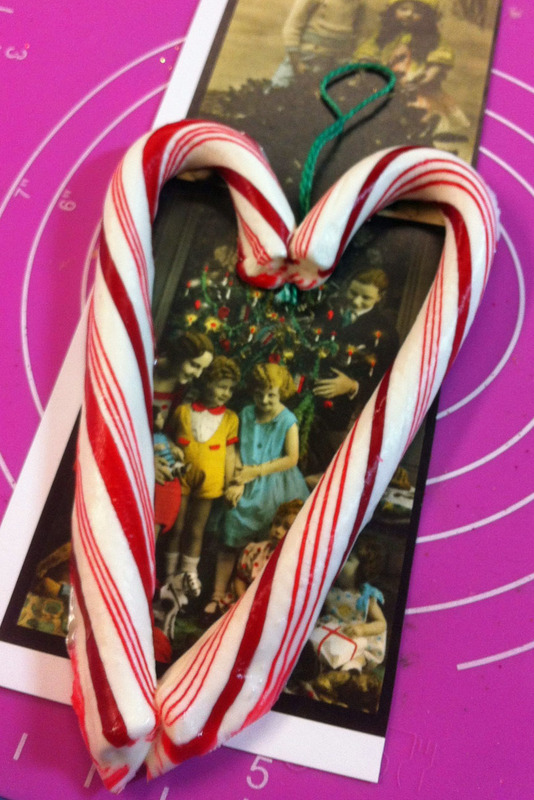 Set the candy cane on top of the picture. Cut away excess. This is what I ended up with, but I thought they looked BLAH. They needed some sparkle power. 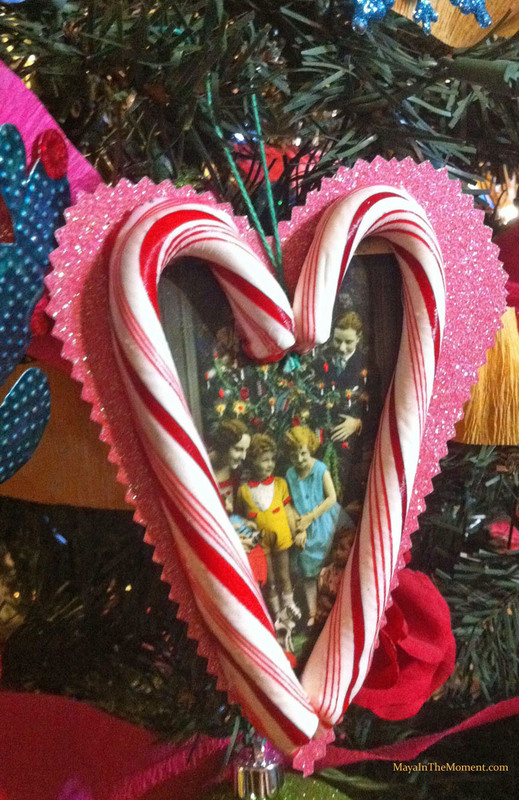 I found some glittered cardstock and cut out hearts. 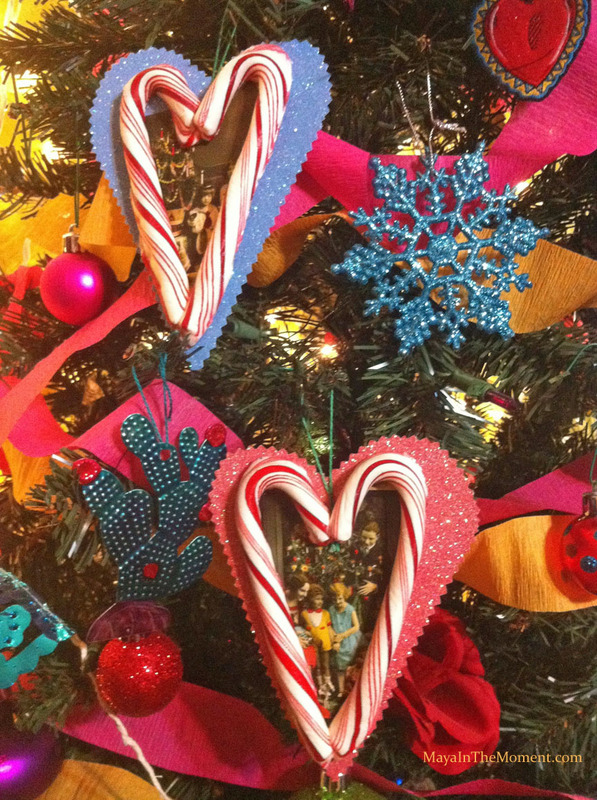 I added more Tacky Sticker Sheet adhesive and pressed them to the back of the ornament. Much better! As a way to say Merry Christmas (and Happy Hanukkah too! ), I'm sharing a little song I sang! It's Christmas Waltz and I hope it makes you smile. 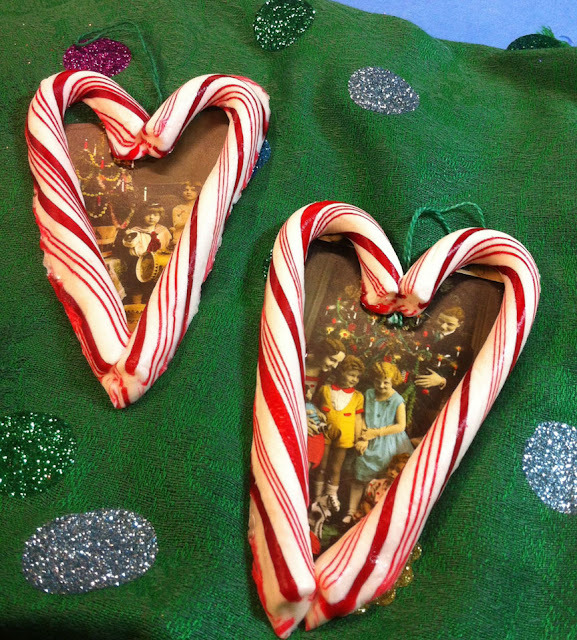 Have a wonderful, magical, glitter-filled holiday! Click below to watch, I hope you like it!